Sun's out, long weekend lies a head and we are getting a definite feeling that it might be time to put away the chunky blankets, the fur throws and the tartan cushions and give our homes a spring spruce up. We are thinking, turquoise, yellows, macramé wall hangings, rattan everything, maybe the odd palm print. And what better place to make all your island vibe interior dreams come true than the Maisons du Monde spring sale? This Easter, you can save up to 50 per cent on home decor, lighting, furniture, soft furnishings and more! 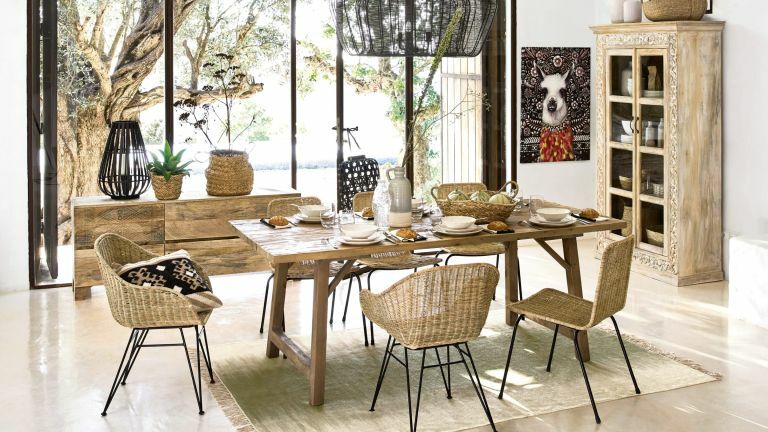 The Maisons du Monde sale lasts until 23rd April 2019 so you've got all of the Bank Holiday weekend to fill your basket with bargains.